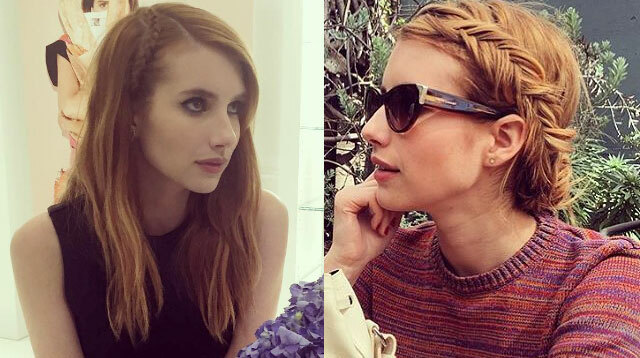 We’re obsessed with how Emma Roberts wore this Dutch braid—how chic! Here’s a nice spin to the low ponytail: a Dutch braid down your center part. Gather the rest of your locks into a sleek, low ponytail, like Lucy Hale. Look effortlessly cool by pulling your braid apart—or pancaking!—to get a relaxed feel. Finish everything off with loose waves—next bridesmaid hair idea, yes? Why not incorporate accessories to your braid, like Cristina Aguilera? Go all out with your crown braid by adding a string of pearls—like an old necklace—to glam it up a la Rita Ora. Take inspiration from boho queen Vanessa Hudgens. Braid your locks into half-inch sections (like you used to do back in the ‘90s, don’t deny it! ), and then finish with a colorful head wrap. Say hello to your new go-to beach hair ‘do!